Posted in: 1 Pageant Pages, 2 Shout-out-Looks. Tagged: Allen Cabs, Cindy Madduma, Miss Scuba Philippines 2017. True to its unique pageant advocacy for Marine Conservation, the Miss Scuba Philippines 2017 Candidates had their photoshoot in full aquatic get-up as taken by Allen Cabs and styled by National Director Cindy Pacia Madumma. Many thanks to Bauan Divers Sanctuary Resort where the pictorial tool place. FYI, all fifteen (15) ladies have already made their first open water dive in Puerto Galera. 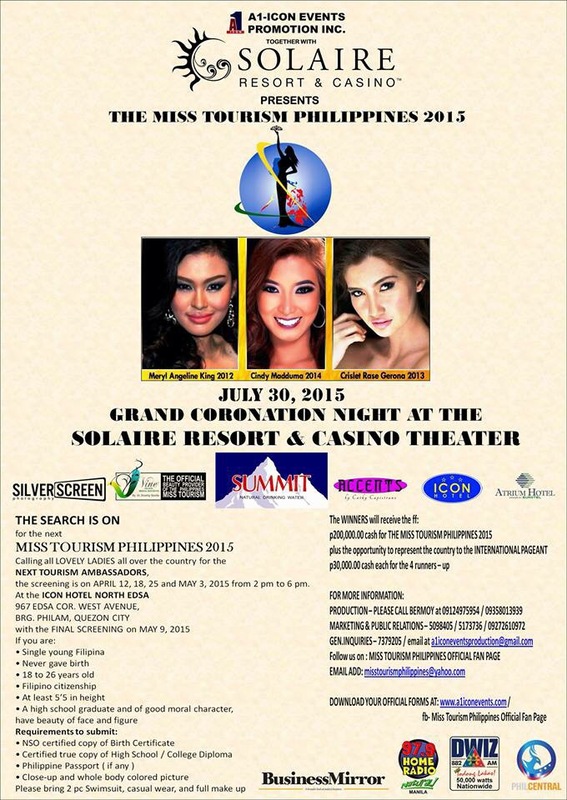 Miss Tourism Philippines 2015: Are you the one? Posted in: 1 Pageant Pages, 2 Shout-out-Looks. Tagged: Cindy Madduma, Gareth Blanco, Miss Tourism Philippines 2015. Tomorrow afternoon from 1pm to 6pm at the Icon Hotel in North EDSA, Quezon City, the 3rd Preliminary Screening of Miss Tourism Philippines 2015 will be held. If you’re interested and have met the qualifications stated above, then make sure that you present yourself in the same. Who knows, you might just be the girl to follow Cindy Pacia Madumma (left photo) who represented the country at the Miss Tourism World 2014 Finals held in Venezuela. Posted in: 1 Pageant Pages, 2 Shout-out-Looks. Tagged: Angelica Martinez, Anngeli Ong, Athena Catriz, Catherine Almirante, Chiara Markwalder, Christine Paula Love Bernasor, Cindy Madduma, Crystal Alday, Donna Velasco, Ferina de Paz, Gertrude Louise Torio, Kristine Tablazon, Lorraine Erum, Lournalyn Mora, Maricris Aldanese, Maureen Usacdin, Miss Global Philippines 2014, Patricia McGrane, Rosebel Forbes, Rozette Pablo, Sirene Sutton, Xyrzsa Isidro. The six ladies above are my favorites for the title of Miss Global Philippines so far. Posted in: 1 Pageant Pages, 2 Shout-out-Looks. Tagged: Bb. Pilipinas 2014, Cindy Madduma, Kagandahang Flores. 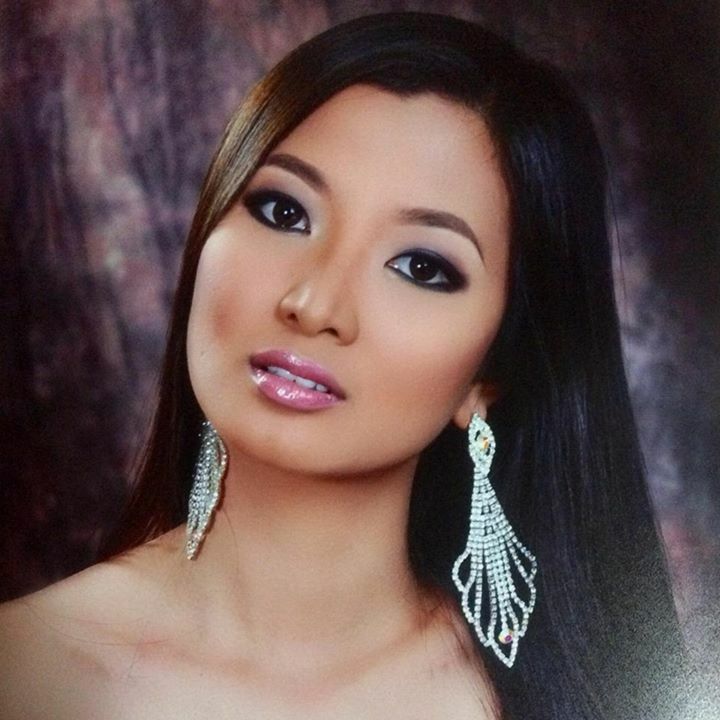 Janicel Lubina is not the only girl from Palawan among the trainees of Kagandahang Flores. Cindy Pacia Madduma is another one. The Nursing graduate from Palawan State University was working as a Private Duty Nurse before she was recruited to train with Rodgil Flores here in Manila.